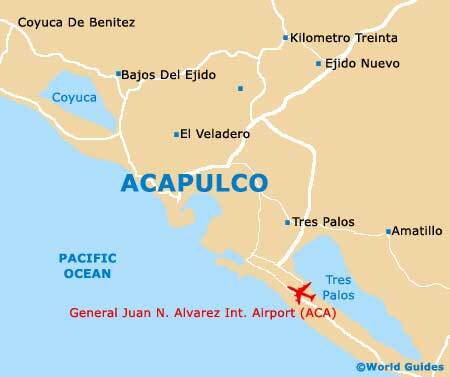 The many coastal attractions surrounding the resort of Acapulco are regularly explored by tourists and those looking to get to know the region a little better. 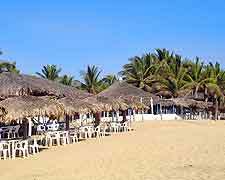 Many head to the neighbouring Costa Chica, which is close to Acapulco and brimming with quality beaches and attractions for all the family. 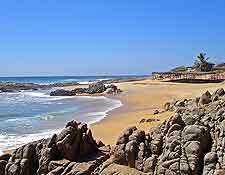 A number of cities are also close to Acapulco, such as Chilpancingo, Cuernavaca and Iguala, all of which contain their own unique attractions and appeal. Chilpancingo is a large city and the state capital of Guerrero, lying to the north-east of Acapulco and home to around 170,000 residents. This location is very much a university city and as such has a thriving student population and many related attractions, such as bars, clubs and restaurants. The Palacio Municipal (City Hall) is amongst the main tourist attractions and is famous for its murals, which depict local historic events. Chilpancingo is also known for its agriculture and is close to the small town of Chilapa, where a traditional market takes place each Sunday. Located to the north of Acapulco and directly south of Mexico City, Cuernavaca is the capital of the Mexican state of Morelos and has a total population of more than 350,000 people. Cuernavaca is well connected to nearby cities and regular buses run to and from Acapulco and other destinations, such as Puebla, Taxco and Mexico City itself (around one and a half hours). 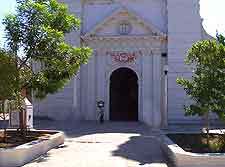 The main attractions in Cuernavaca include the Palacio de Cortés and the Palacio de Gobierno, both of which edge the Plaza de Armas. Further attractions include the beautifully landscaped Jardin Borda gardens and its nearby Salto de San Antón waterfall, the Pirámide de Teopanzolco and the 16th century Recinto de la Catedral. 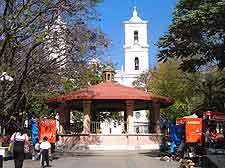 A particularly historic city full of interest, Iguala is located north of Acapulco, in the state of Guerrero and off the Federal Highway 95. 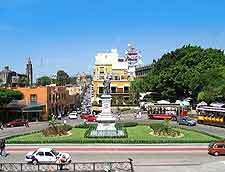 With just over 100,000 inhabitants, this is one of the state's biggest cities and features a number of appealing attractions, such as the 19th-century San Francisco Church, large lagoon and seasonal flag celebrations each February, since Iguala is considered to be the actual birthplace of the country's modern day flag.